This site is packed full of information for those interested in traveling to, touring and vacationing in Cebu. CoW specializes in helping those with a disability. But, We also help, and have helped, many others from all "walks" of life. Our goal is to help everyone have a trip they will never forget. From your hometown airport, to half-way around the world, we can help. Mike and Lorena operate this service to help you in any way they can. 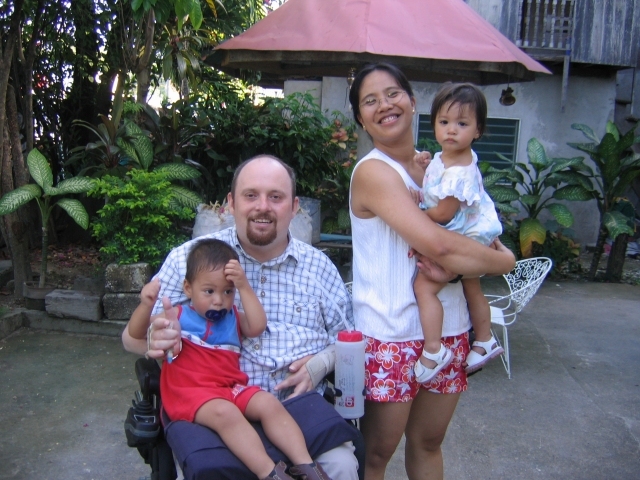 Mike is a c4-5 quadriplegic and has 20 years of travel experience to help you. Lorena knows all about Cebu and can be of assistance in the immigration process. Why do they do this? They already know how difficult it can be to travel to a country with little or no resources. When Mike met his fiancé Lorena, he could not figure out how to go visit her. She lived in a country that was not very wheelchair friendly. 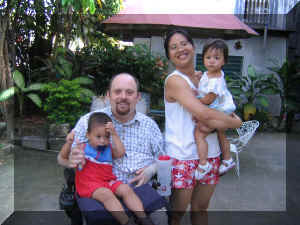 After Mike's experience, he decided to help others enjoy a trip, a few tours, and a vacation paradise called Cebu. Here, Mike and Lorena will try his best to help you find the best deals on airplane tickets, hotel reservations and can even help you with finding semi-accessible wheelchair transportation. We hope you will find this site to be an effective tool. If not, please let us know. Should you have any questions, or, need more information, please feel free in contacting us. NOTE: Before going on any trip, you too should research the country you are going to. Learn everything you can about the people, culture and so on. Mike has provided a good deal of information within this site. Along with his suggestions, and your research, you will have a great trip. Help support deaf children in the Philippines. Buy a phone card, or two... or send money fast & cheap by our affiliation with Xoom.